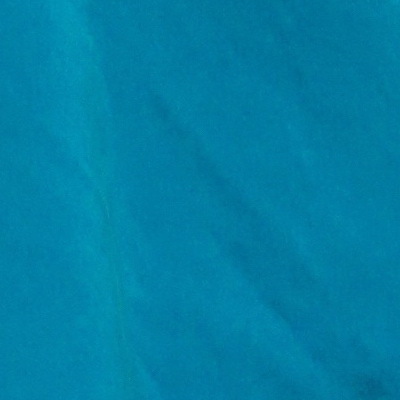 Talking about weightless! 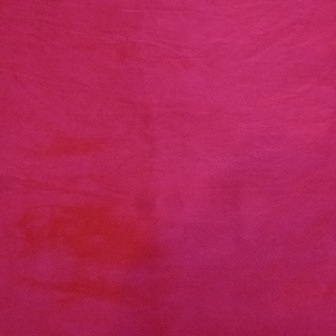 this bias cut top out of incredibly soft and light georgette silk with incredible color and shine adds a special note to your outfit but you soon can forget that you wear it, how light it is. 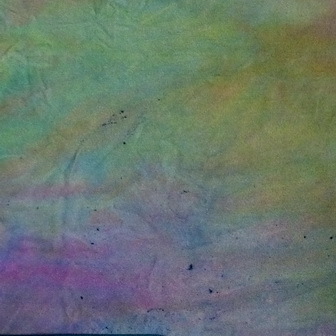 Also dries in minutes. 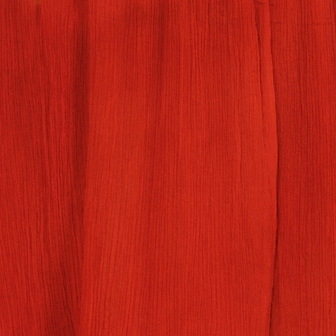 Incredible for draping and hot summer days with stile. 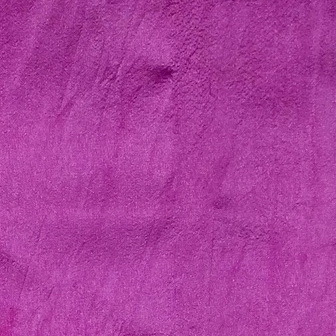 Georgette silk 100%. 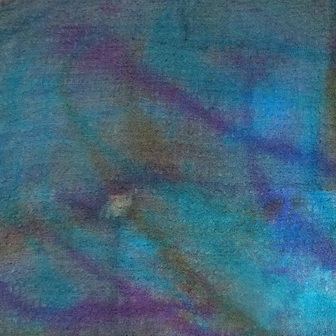 Care instructions: machine wash cold, gentle cycle, separate colors, hung dry. 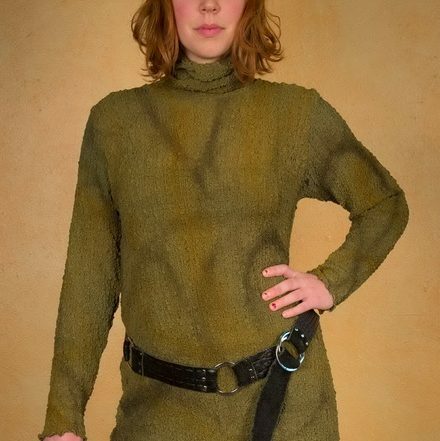 Very fun and unique top that will not restrict your movement in anyway. 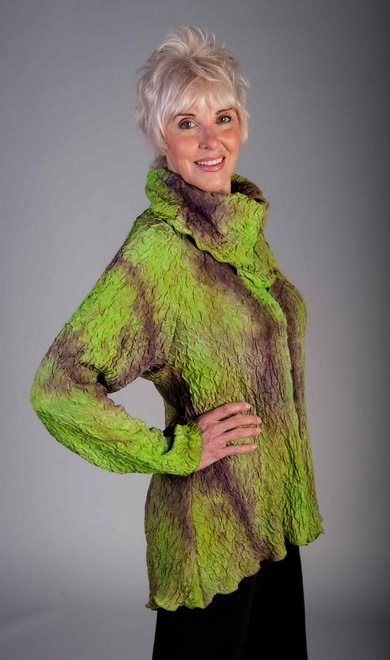 Slightly longer in the back, also has a collar that creates comfort and interest for the look. 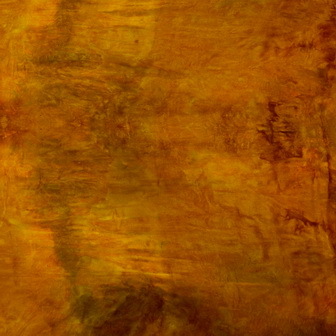 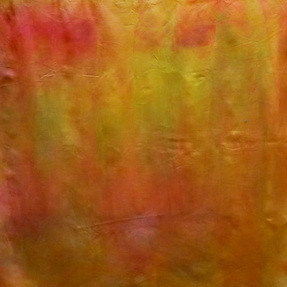 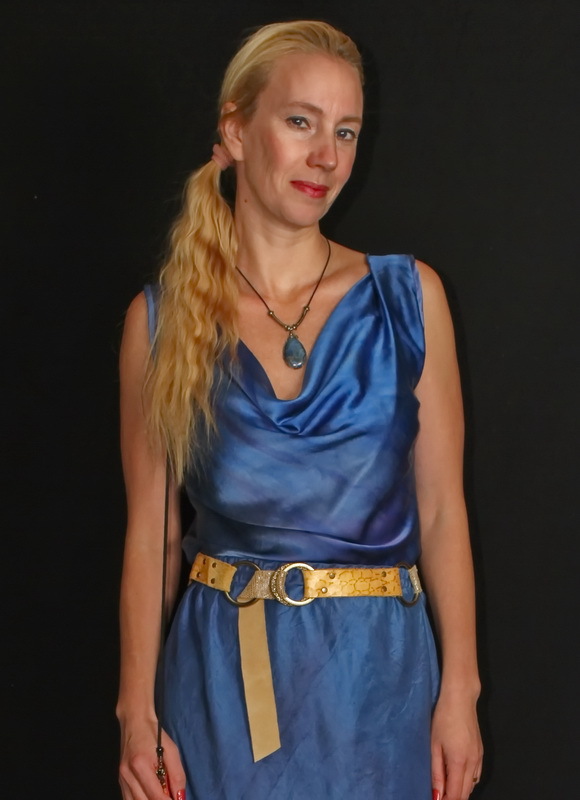 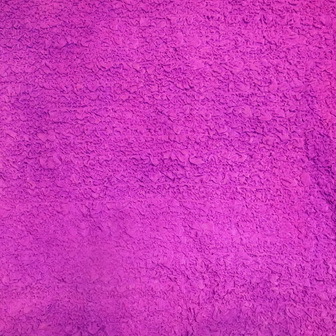 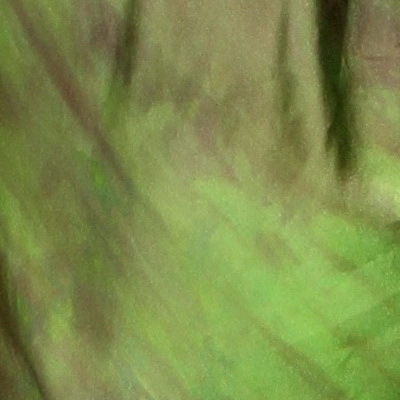 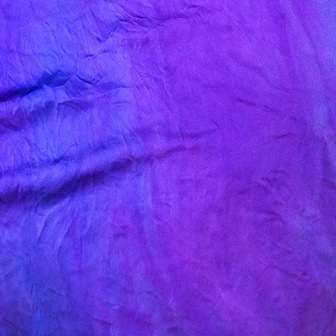 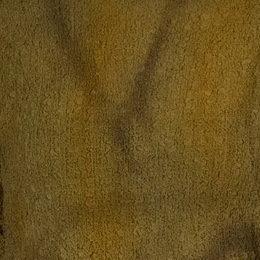 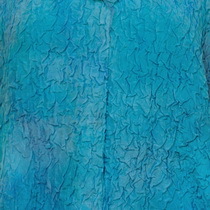 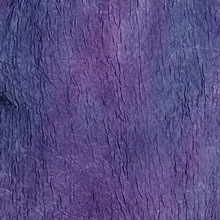 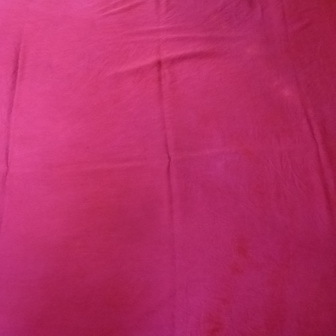 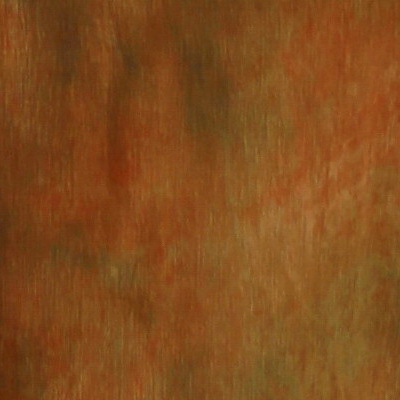 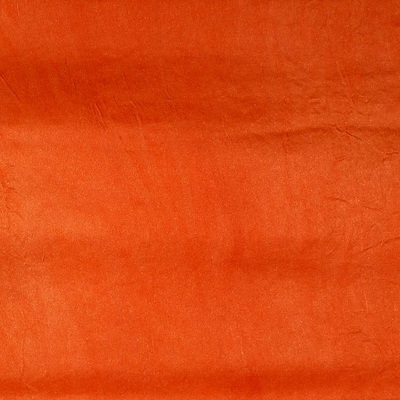 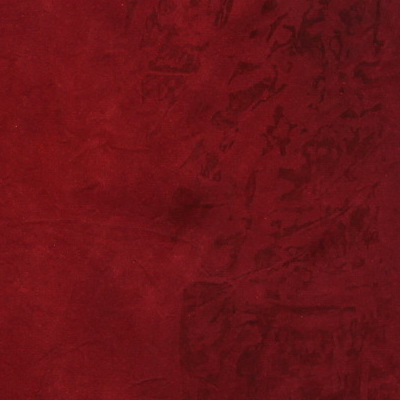 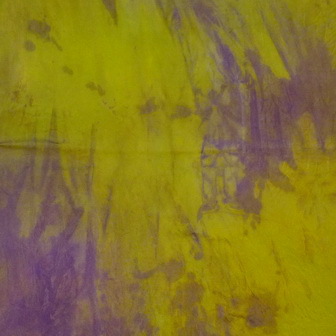 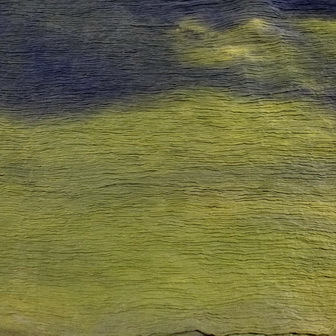 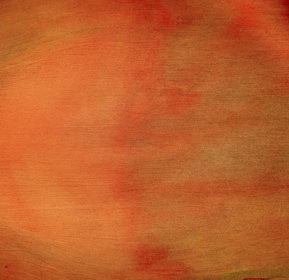 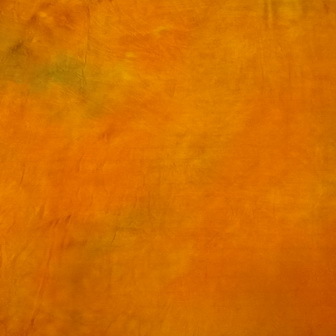 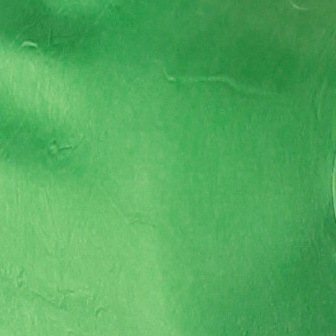 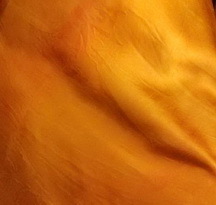 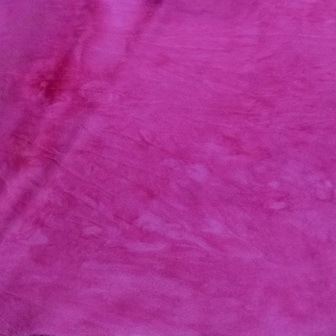 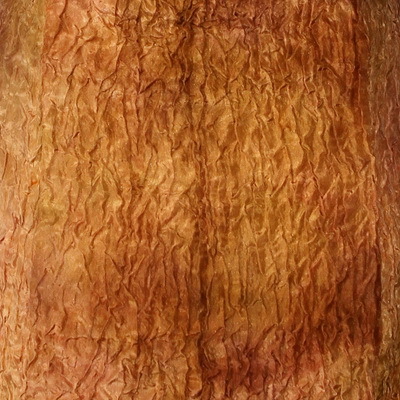 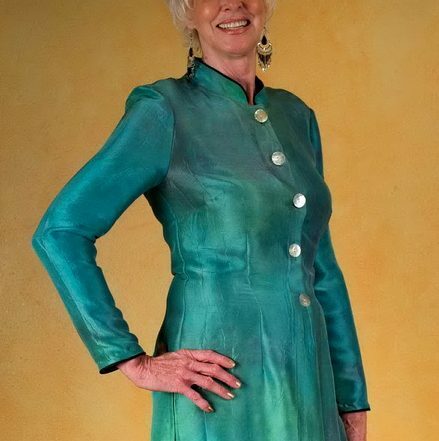 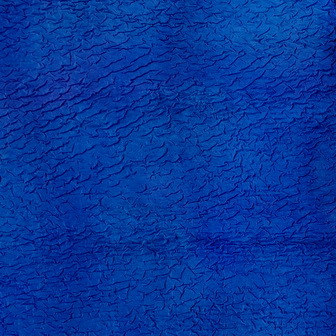 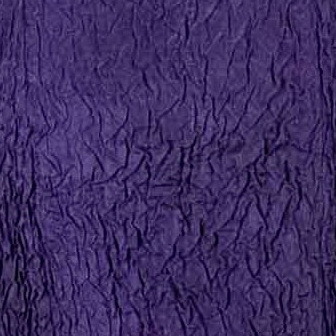 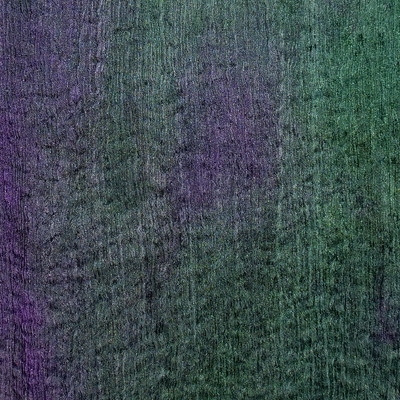 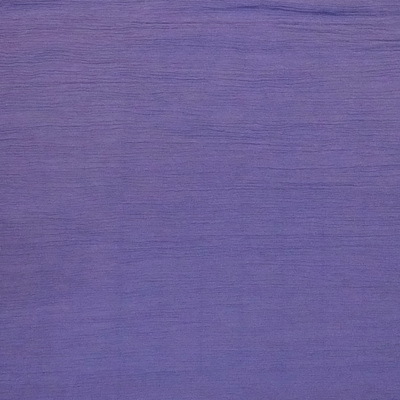 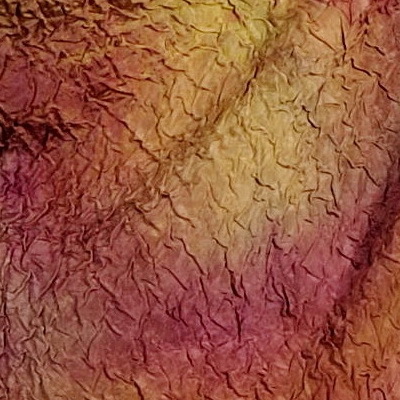 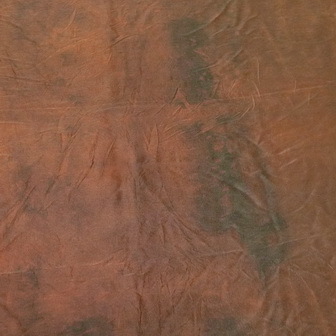 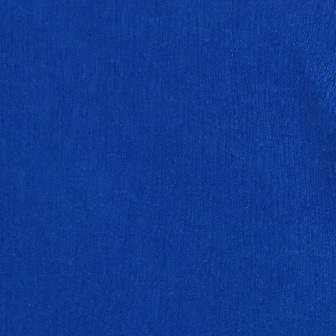 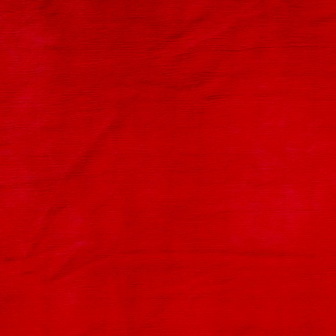 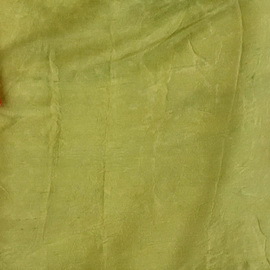 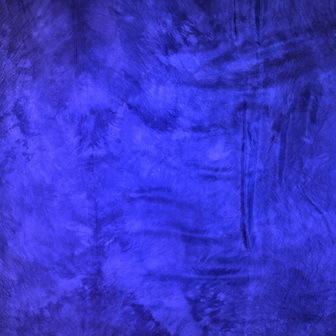 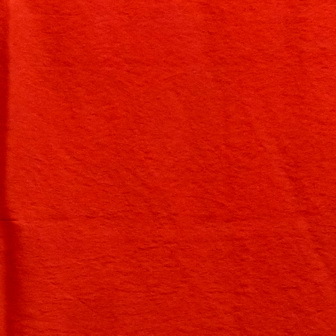 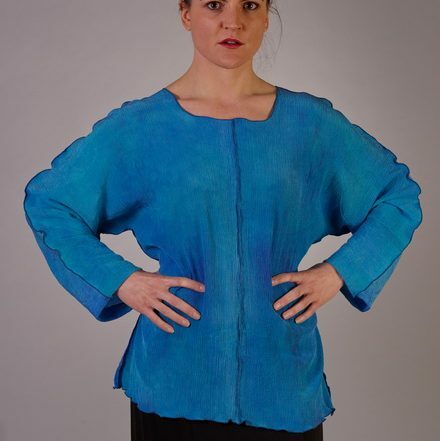 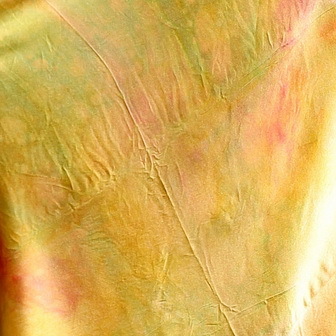 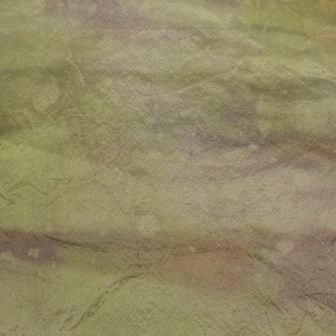 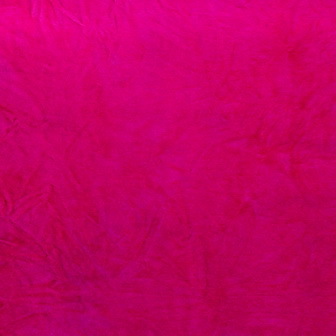 The texture of double habotai silk makes it very different and adds light to the color of a top. 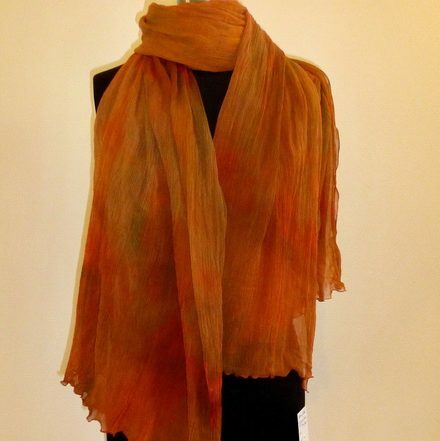 Use it as your daily clothes or for a relaxed evening out, with range of pants or skirts, it all works. 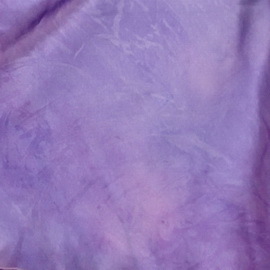 Double Habotai Silk 100% Care instructions: machine wash cold, gentle cycle, separate colors, medium heat in dryer for 10 min, remove promptly. 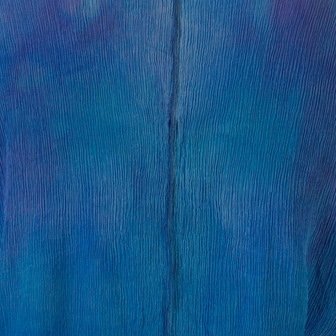 Put on this very light and beautiful top and go around all day feeling comfortable and special. 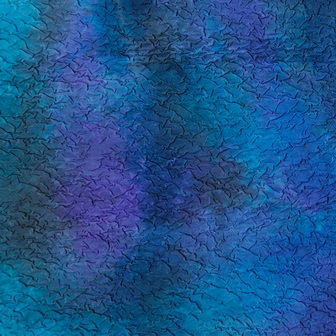 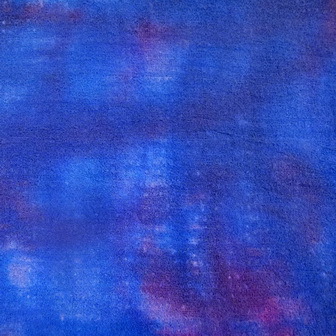 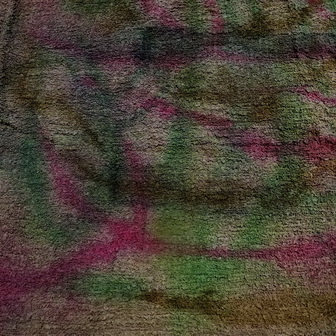 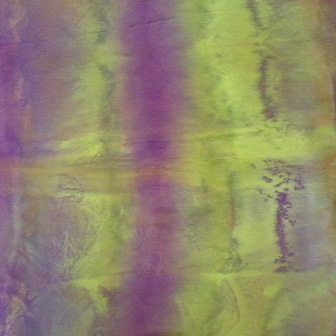 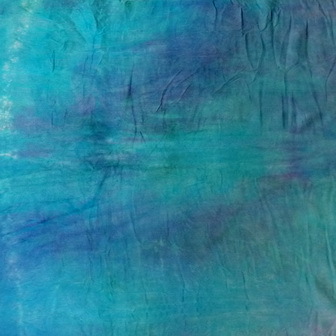 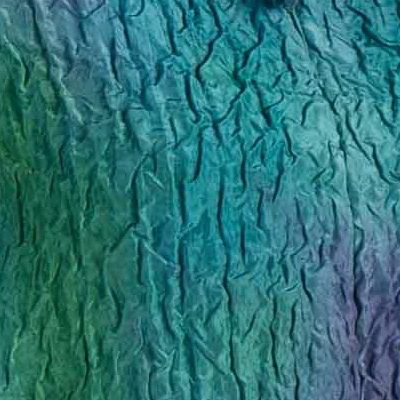 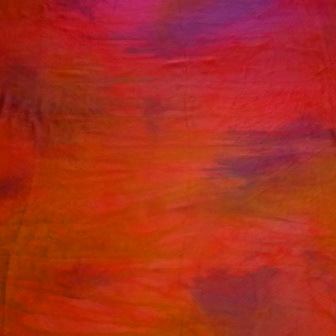 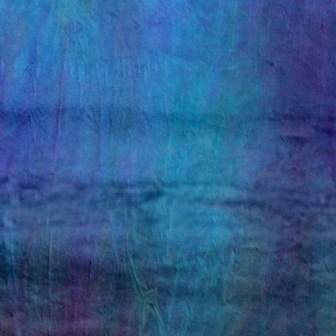 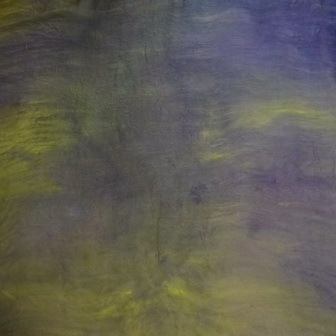 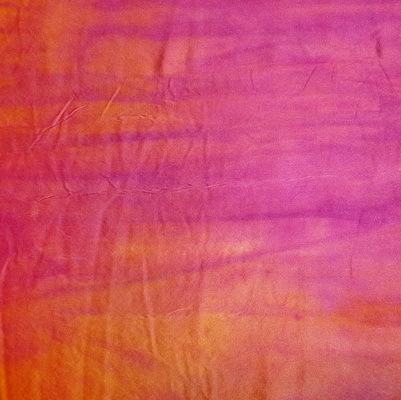 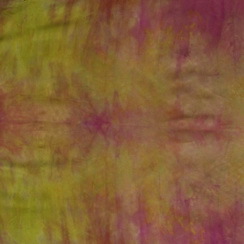 Fun texture of this crinkle silk top and hand-dyed colors makes it a great daily choice. 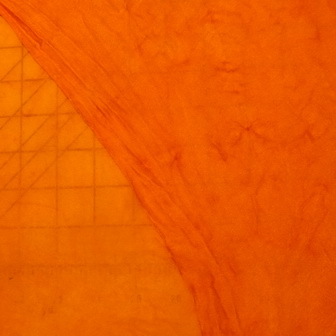 All seams roll-hemmed. 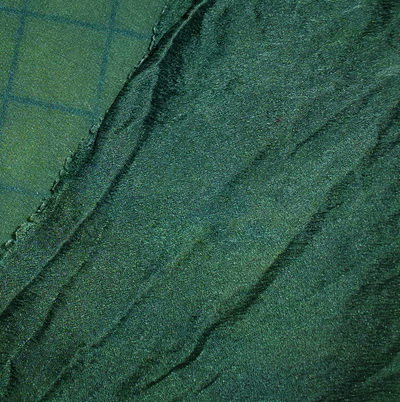 The crinkle material is light, practical to wear (do not wrinkle with wear) and incredibly fast to wash and dry ( in part for travel consideration). 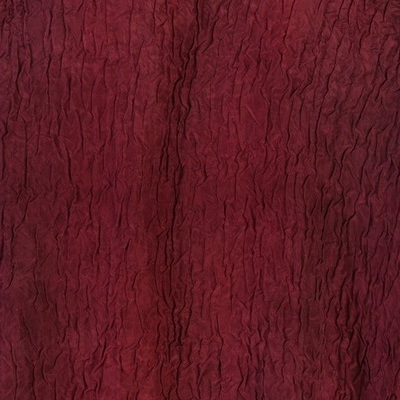 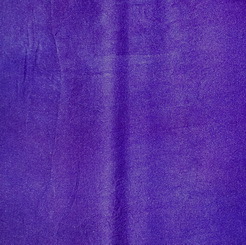 Crinkle silk Crepe 100%. 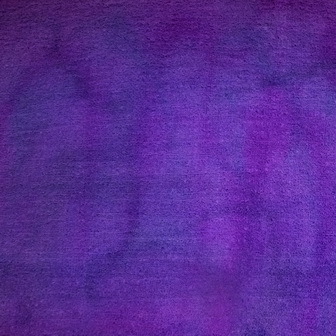 Care instructions: machine wash cold, gentle cycle, separate colors, medium heat in dryer for 10 min, remove promptly. 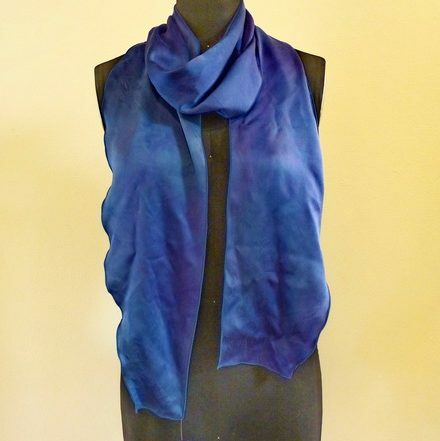 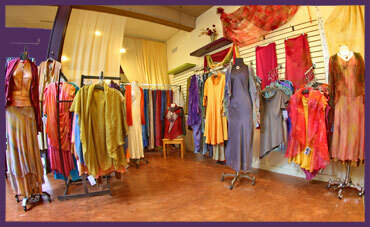 The soft shawl out of crinkle chiffon adds cosines and color to your look. 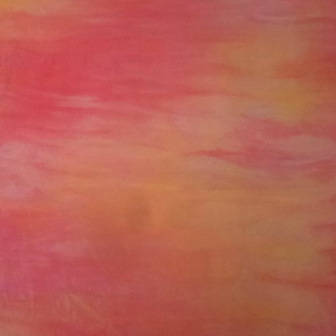 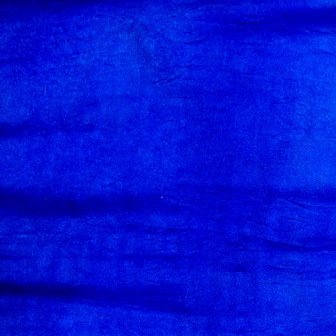 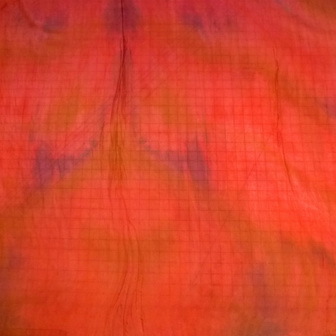 Size: 102 x 36 in Crinkle chiffon silk 100%.